The moment you enter our salon, one of our dedicated service members will ensure you are comfortable and will help answer any questions you may have about our services or our products. You may also take us up on a complimentary consultation with one of our stylist, skin care or massage therapist. This is a great opportunity to gain expert advice and create the best look and results for your hair, skin, and body needs. Once you agree on the look you love, your stylist will use high-quality products and the latest techniques to ensure you leave your appointment looking and feeling great. 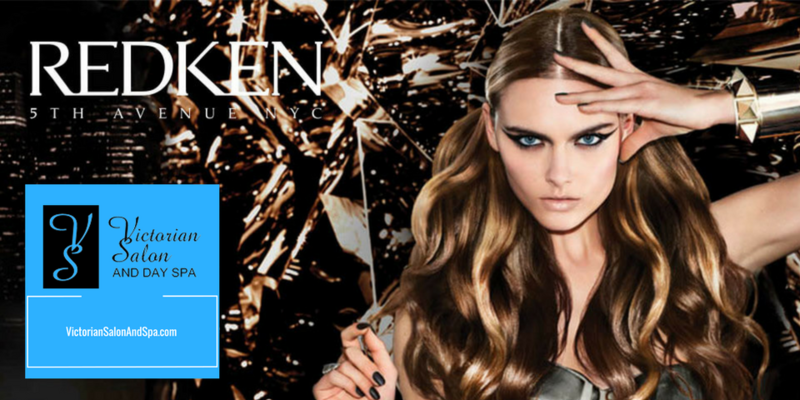 The Victorian Salon is a premium Aveda, Redken, and Pureology salon which guarantees trusted products to help your hair and skin look healthy and strong. Located in Riverside CA, The Victorian Salon offers experience and affordable services to ensure your greatest looks. So what’s stopping you? Book your appointment now! You will love the Victorian Salon’s warm and inviting environment from the moment you walk in our salon. We have a dedicated customer service team to ensure all of your needs are met – allowing you to sit back, relax, and enjoy a cup of coffee or tea as you wait for your appointment to begin. The Victorian Salon and Day Spa was established in 1957 and was named after the famous Victora Street in Riverside. It is currently operated by the third owners and it is family owned and managed by Sandra Espinoza. Sandra Espinoza’s legacy started when her mother Blanca Castro migrated to the United States with the dream to study cosmetology and own a salon company. Sandra’s mother opened her first salon in Los Angeles California where Sandra grew up as a child admiring her mother’s passion for cosmetology. It then became Sandra’s dream to follow her mother’s footsteps and pursue a career in cosmetology. Mrs. Castro (Sandra’s Mother) decided it was time to retire and sold her salon in Los Angeles and moved to Riverside California. This is where Sandra began her career as a licensed cosmetologist. She worked in a few salons trying to find her home when she came across the Victorian Salon that was located in the original Riverside Plaza. She began her career with no clientele and no experience as many cosmetologists do when they graduate cosmetology school. She put in her time and effort in promoting herself and perfecting her skill. The Victorian Salon was moved to its current location in 2002. It was always Sandra dream to follow her mother’s footsteps and become a salon owner herself so that she may be able to share her knowledge and experience with new cosmetologist and create a pathway to success for they stylist that would work with her. After working for the Victorian Salon for 20 years, Sandra and Her husband Gilbert Espinoza made an offer to the previous Owners and purchased the Salon. Sandra’s oldest son Jonathan did not have it in his plans to follow his grandmother and mother’s footsteps and decided to study business administration at the University of California Riverside. After completing college and working numerous sales and marketing positions, he realized he was destined to follow the family business. He got involved with a small project on a part-time basis and began investing time into the team and began coaching and mentoring cosmetologist to grow a successful business so they will be able to live a great quality life and support their families. He then realized that most cosmetology schools do not educate on understanding the business side to cosmetology. Together, Sandra and Jonathan realized they had to learn and fully understand the cosmetology business. Together, they implemented a training program known as the Associate program and a career path for their team. They are happy to say they have grown a successful team and pride themselves in coaching and mentoring cosmetologist and therapist. Today the Victorian Salon has helped create many job opportunities and supports a team of more than 30 service providers. We truly love our guest and recognize we are part of the community due to our wonderful guest and as a gratitude to our guest we like to offer a loyalty rewards program. Once enrolled in our rewards program, points will be tracked electronically in our database. These points can be accumulated and redeemed towards purchases on services, retail, gift cards. This program is complimentary and presented as a thank you to our guest. Simply register at our front desk during your next visit to our salon and complete a client loyalty membership form. You will then begin earning points immediately through everyday transactions and as a thank you for registering, we will automatically give you 200 points for enrolling.